Ado Santini was born in 1936 in the Tuscan town of Cecina, which is located on the Meditteranean coast about 2 hours west of Florence, Italy. 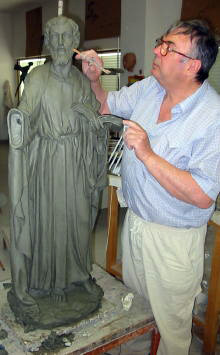 Growing up he loved watching his uncle, Amilcares as he spent long hours sculpting in his workshop. 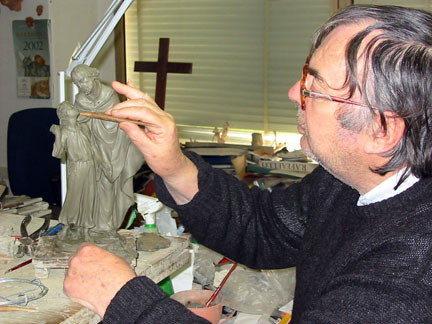 Eventually he left school to follow his passion of working with his hands and molding clay into beautiful works of art and finally moving into using the Tuscan style of “bottega”, or sculpting using wooden sticks to reach the fine detail for which he was looking. Through the prodding of his wife, Angela, Ado eventually opened his own factory creating many masterpieces for customers all over the world. 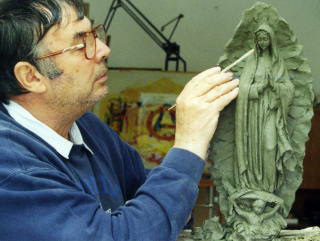 Many of his pieces are one of a kind from private requests. 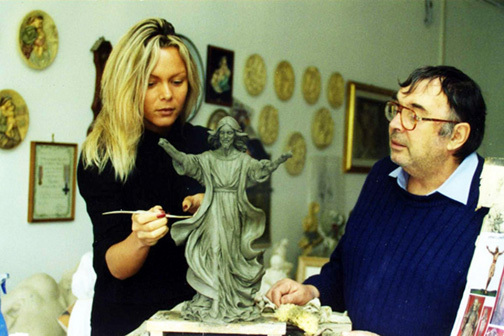 His daughter, Simona loved sculpting also and soon came to work alongside her father as her brother, Andrea who looks after the office. An extremely humble gentleman and successful artist, Ado has met and worked with many famous people from across the globe but to this day does not forget his humble origins…willing to be helpful and kind to all he meets.